Chefchaouen, Morocco has skyrocketed in popularity over the last five years thanks to the mountain city’s Instagrammable blue-painted houses and buildings. While some travel writers have complained that it has been „ruined by Instagram,“ locals told Business Insider that the surge in popularity has jump-started the city’s economy. 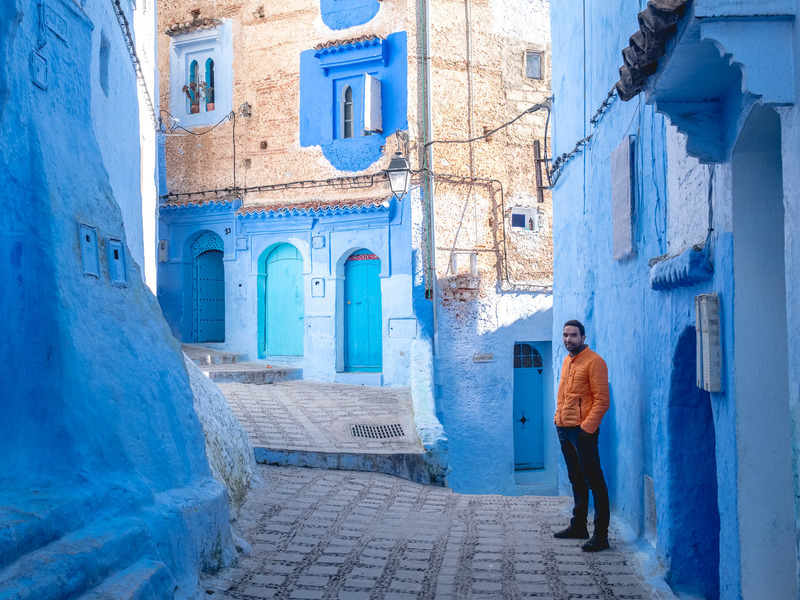 On a recent visit to Chefchaouen, I found that while tourists do come to take photos of themselves in „The Blue Pearl,“ it hardly affects the city’s reputation as a friendly place to meet Moroccans and escape the bustle of bigger destinations like Marrakech or Fez. On a cool January afternoon, I scaled a dirt path shaded by the limestone peaks of Morocco’s Rif Mountains. As I walked, an elderly woman pulled up water from a well peeking out of the cacti while a teenager chased a few goats down the rocky mountainside. At the top, tourists and local families sat below the ruins of a mosque and watched the sun set over Chefchaouen. If you’ve spent any significant time on the internet in the last half decade, you’ve seen Chefchaouen. Though located a day’s drive from tourist hubs like Fez and Marrakesh, the city has skyrocketed in fame thanks to its chief draw: The entire city is painted in every shade of blue — periwinkle, cobalt, sky, royal, turquoise, baby blue, cyan, azure. Travel bloggers offer up “Instagram maps” for tourists to follow. Refinery29 declared it “the most Instagrammable City Break.” Top influencer Jack Morris (@DoYouTravel) even sells a photo editing preset dedicated to the city. In 2015, Mark Zuckerberg used the city to tout new Instagram features. In the last ten months, the number of photos tagged to Chefchaouen has nearly doubled from 250,000 to over 445,000. Last April, Fodor’s included the town on its list of places “ruined by Instagram,” citing “queues of people” waiting to get photos in certain locations. But talk to locals, as I did last month, and you hear a different story. For those living in the blue-painted medina, the Instagram-fame has created business opportunities where before there were few steady jobs and grinding poverty. Riads are being renovated, new inns have opened up, locals have taken up tour guiding, and restaurants are bustling. As I watched the sunset, a 20-something Moroccan French teacher named Soquaina tapped me on the shoulder. A volunteer for the city’s tourism board, she was handing out surveys on what visitors thought of the town. When I brought up Instagram, she chuckled. Here’s what The Blue Pearl, as it is known, is really like. For the Instagram-set, Chefchaouen may seem like a recent phenomenon, but the city’s history dates back over 500 years. It was founded in 1471 by Moulay Ali Ben Moussa Ben Rached El Alami. The town’s most famous building isn’t blue. The kasbah, a fortress built by Moulay Ali Ben Moussa Ben Rached El Alami to protect against the invading Portuguese, was the first structure in the settlement.